Electrical Lab. 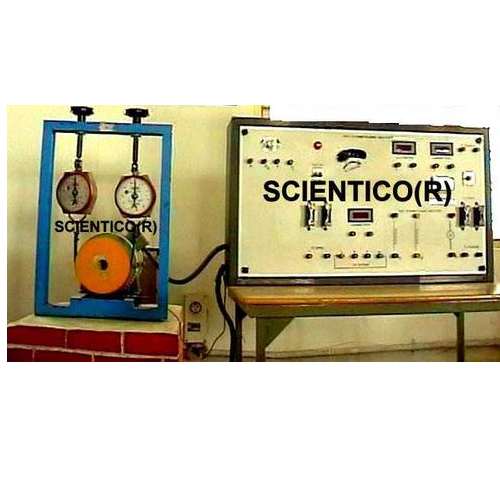 We are Exporters & Manufactures of Electrical Lab India, Electrical Lab Equipment, Electrical Lab , Electrical Lab And Kits, Electrical Lab Equipment Supplies India, Electrical Lab Lab Equipment Manufacturers. Equipments for Engineering Education - Engineering Training Systems,Engineering Training Equipment - Equipment for engineering education. Technical Teaching Equipment for Engineering. Technical Educational Equipments. • One No of the Inbuilt power supply of range 0-12V DC / 2 ampere. • Two No. 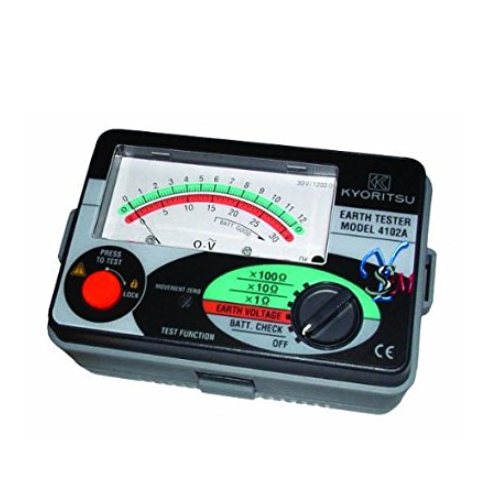 of Digital panel meter for voltage measurement of Range 0-20V. • One No. of DPM for Current measurement of range 0-200 mA. • Three No. of spoke' made of copper 10mm thick & 750mm long with high-density polypropylene handle. • Dimensions: 470 x 460 x 620 mm (L x B x H). • Power Requirement: Single Phase 220V AC. 96*96mm provided with Input Terminals. • One No. of Moving Coil Ammeter of Range 1A AC size 96*96mm provided with Input Terminals. • One No. of Moving Coil Ammeter of Range 10A AC size 96*96mm provided with Input Terminals. • Two Nos. of Single Phase Wattmeter of Range 500W of size96*96mm provided with Input Terminals. • One No of Miniature Circuit Breaker of Range 16Amps (MCB/ DP) Provided on the Input Side. • Circuit Diagram Printed on Bakelite Sheet front panel with instrument connecting terminals. • Panelboard of portable wooden panel box is in Tapered shape for better view angle. • Dimensions : 470 x 460 x 620 mm (L x B x H). We are a well-known Electrical Machine Trainer Manufacturer and Supplier. 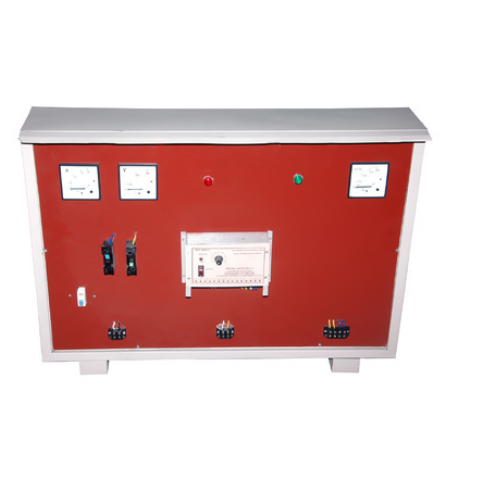 We offer quality assured Electrical Machine Trainer that is made with top quality components. Our Electrical Machine Trainer is manufactured with premium grade components with the latest technology. We have become a preferred name in the market for availing Electrical Machine Trainer. · Completely self-contained stand-alone unit. 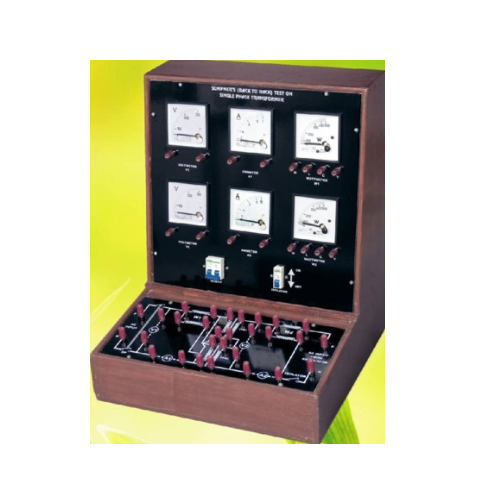 · Test points provided on a panel at various stages in the circuit. · Set of the required number of Patch Cords. · Strongly supported by a comprehensive instruction manual complete with theory and operating details. To Study the Load Characteristic MG Set – DC to AC. · To Study the Load Characteristic MG Set – AC to DC. · To Study the Load Characteristic DC Generator. · To Study the Load Characteristic AC Induction Motor. · To Study the Load Characteristic Universal Motor. This product is an important system for the Electrical laboratories. This product provides comprehensive learning of functioning of a DC Motor. Speed troque Characteristics of D.C. motor (Shunt/series/Compound Type). Speed control of D.C Motor by Armature/Field Control method. To run a D.C. shunt Clockwise as well as Anticlockwise. 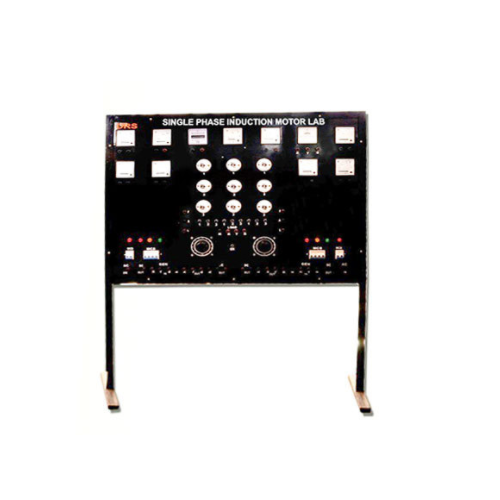 Looking for “Experimental Control Panel for Electrical Lab”?